English heirloom butterhead's yellowish-lime-colored leaves have mild, creamy taste. 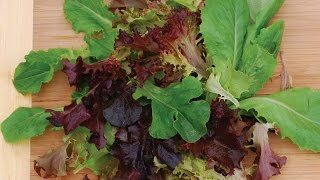 A unique English heirloom lettuce that can take the heat and stars in the kitchen. Mild and creamy, the bright yellowish-lime green leaves from the tiny, 4-5" butterhead are just right for individual salads. The bright, yellow-lime green leaves form medium-tight central heads even in hot weather and ignore the heat when fully mature in the garden, resisting bolting and allowing for a longer harvest. Cut the individual leaves or pick the entire head. Lettuce, Tom Thumb is rated 5.0 out of 5 by 2. Rated 5 out of 5 by Marian34 from The absolute BEST for small home gardens or pots!! After planting Tom Thumb lettuce for (2) years, I could not find seeds anywhere last year and so far this year. 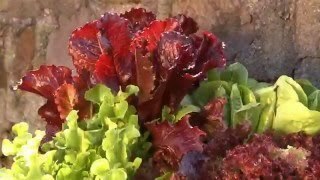 This lettuce is sweet, crispy, and never bitter. Hopefully, I'll be able to find seeds locally. Rated 5 out of 5 by Ladybird from Delish. For a nice, compact container-friendly variety of lettuce, Tom Thumb is the way to go. These 'lil guys will grow just about anywhere we put them! They grow fairly quick, too. The flavor is nice and sweet. But, the leaves are a MAGNET for adult aphids and other pests. So watch out! All in all, I highly recommend this variety for balcony gardeners and regular gardeners alike!